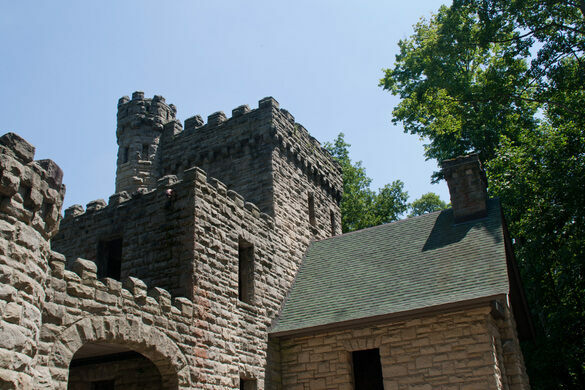 Squire’s Castle in the Chagrin Valley of Cleveland is a misnomer—it isn’t actually a castle, but rather the gatehouse to a castle that was never built. There are two versions of why this castle never materialized. 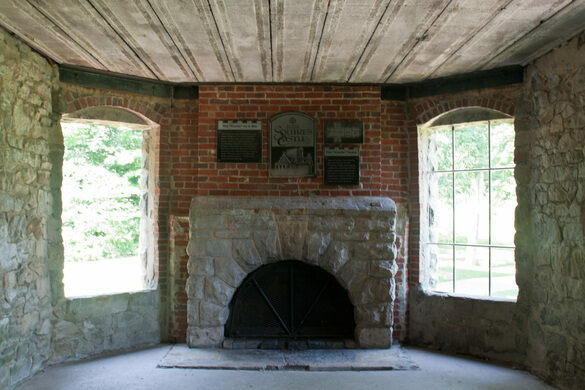 In the late-19th century, Feargus B. Squire purchased 525 acres in the scenic Chagrin Valley. The English-born Squire started his career as an office boy at an oil company and eventually became the vice president of John D. Rockefeller’s Standard Oil. Squire commissioned a New York-based architect and intended to build two massive, ornate European-style mansions on the Willoughby Hills site. 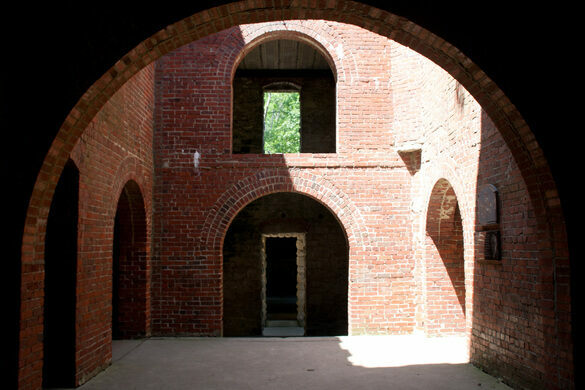 The first (and only) building to be built was the gatehouse, which had three floors, a basement, and even a room for Squire’s exotic hunting trophies. 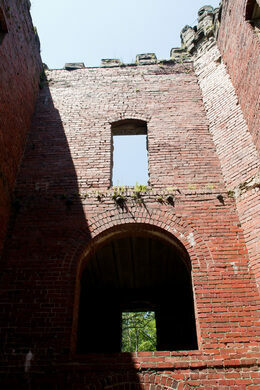 The urban myth version of why the rest of the castle was constructed involves Squire’s wife Rebecca. She was thought to be unhappy in this country residence and prone to insomnia and nightly walks. On one night, she noticed strange movement in the trophy room and in her fear, fell down the stairs and broke her neck. Her death devastated her husband and he never returned to the castle and later sold it. The likely actual series of events is slightly different. Squire lost interest in the property and instead constructed a mansion in Wickliffe, where he later became mayor. His wife died under normal circumstances and not in the castle. 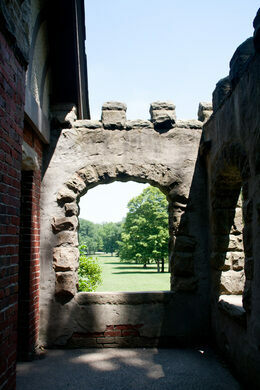 The property was sold in 1922, but the gatehouse was abandoned and later taken over by Cleveland Metroparks. 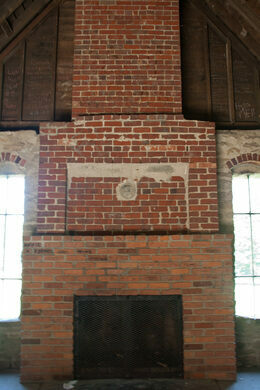 Given the extent of vandalism that had taken place, they decided to remove all the structures inside the building. 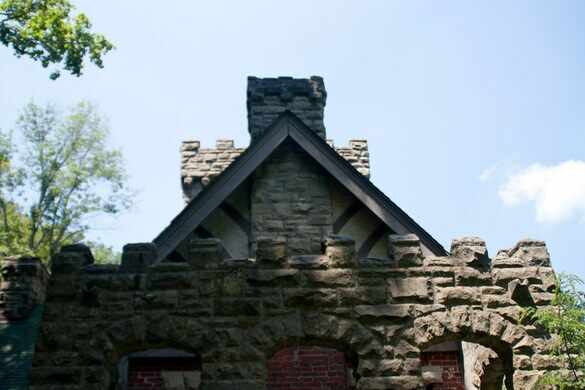 Today all that remains of Squire’s brief stay in the would-be castle is the exterior shell—that, and the occasional ghost stories of Mrs. Squire. People have reported seeing a red lantern light and a female figure near the property. 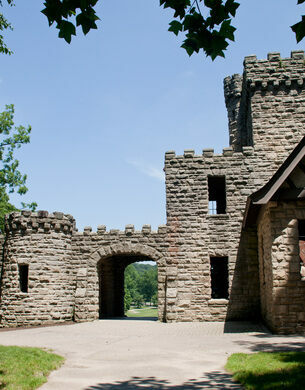 Squire's Castle is part of the Cleveland Metroparks' North Chagrin Reservation and located just off of River Road in Willoughby Hills, within half an hour's drive from Cleveland's east suburbs. 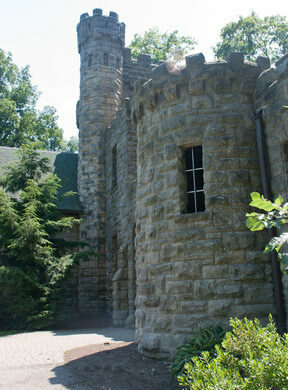 Nearby parking is available for the castle and Metroparks trailheads. 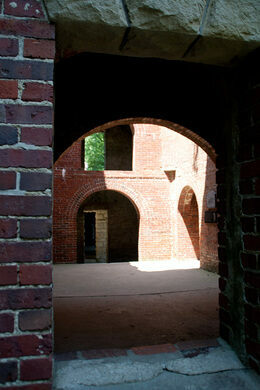 The reservation is open year-round from 6 a.m. to 11 p.m., and the nearby nature center is open from 9:30 a.m. to 5 p.m. This abandoned bridge to nowhere stands secluded in the woods of a Cleveland suburb. Solving a 60-year mystery finally gave a name to the young woman known only by the color of her clothes. Annual Easter display made up of thousands of hand-painted eggs. This lovely university observatory continues to sit abandoned since its potential savior was sent to jail for fraud. This Danish castle is supposedly haunted by a woman too independent to not be a witch.